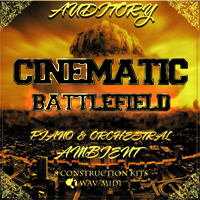 'Cinematic & Battlefield Scores' brings you eight masterclass Construction Kits by Auditory Beats. Piano, Orchestral strings and Orchestral Battle tracks are included to give you that incredible base in your projects, and a high quality Orchestra feel. Add some class to your movies and song productions. 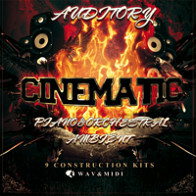 These sounds and samples are licensed as Royalty-Free for you to use in commercial productions. 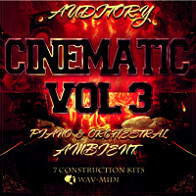 All MIDI and WAV files are included. Using the supplied MIDI files you can assign any of the musical phrases found in this pack to your synth or sampler, and integrate them seamlessly with the pre-rendered loops. MIDI is effectively only instructional data, so you can change the pitch and tempo to any extent you like with no artefacts. 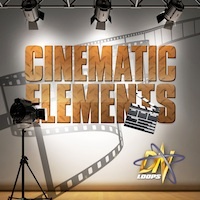 All loops in this pack are 100% Royalty-Free and cleared for personal or commercial use. Every sound heard in the Demo is included throughout the Construction Kits themselves. The Following End User License Agreement is included with Cinematic & Battlefield Scores. This License is only valid for the individual who has purchased an unopened, new and lawfully made copy of Cinematic & Battlefield Scores from a dealer or distributor authorized by Big Fish Audio. 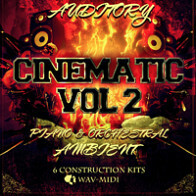 "The sounds, samples, and loops in this sample pack are licensed to you, not sold to you. All rights not expressly granted to the user are reserved. 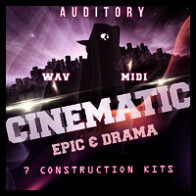 Only the original purchaser of this sample pack has a legal right to use these sounds, samples and loops within their own "original" music compositions and/or in advertisements, soundtracks, and television or film productions. The content can be used for both commercial and non-commercial use. However, it may not be used in the creation of any competitive product, such as a Sample Pack, Sample CD, Sample DVD, Virtual Instrument, Expansion Pack, or any other collection of sound or loop elements in any format. These sounds, samples and loops may not be used "isolated". They must be used within the context of a musical piece mixed with additional parts. You may not re-sell this collection or pass it on to a third party as this license is non-transferable. All copying, lending, duplicating, re-selling, renting, uploading, file sharing or unauthorized trading of this content (or any part of this content) is prohibited by international copyright law. We will not hesitate to take legal action against any persons, company or individual who fail to adhere to the terms of this agreement. If you have any questions about this license or you wish to report an individual who has flouted the terms of this agreement, then please contact us. Thank you for purchasing PROGRESSIVE TRANCE & ELECTRO and please check out our other Sample Packs. PRODUCER LOOPS WWW.PRODUCERLOOPS.COM © Copyright, 2015, ProducerLoops.com"